A new poll from One News Now shows that American believe skepticism in evolutionary theory is not a reason to remove a scientist from a lab or a teacher from the classroom. Triggered by the article on Nathaniel Abraham, a creationist biologist who was fired from the Woods Hole Oceanographic Institution, One News Now asked America whether skepticism in evolution should disqualify an individual from scientific research or teaching a biology class. The answer was an overwhelming no. Over 95% of voters said that those who question Darwin should not be banned from scientific research or teaching biology. Less that 4% said they should. See the results for yourself here. 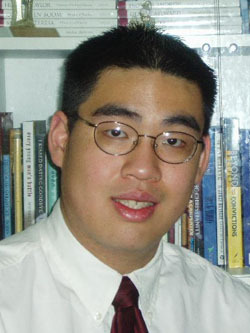 Nathaniel Abraham is now a professor at Liberty University in Virginia, where he teaches biology. He was once a research scientist for the prestigious Woods Hole Oceanographic Institution in Massachusetts. Abraham was hired at the WHOI for his expertise on the zebrafish and for his experience in oceanography. He was fired because he wasn't a scientist...according to the "rules" of science today. Abraham is a Bible-believing, creationist, Christian. While he agreed to conduct his research at the WHOI with evolutionary concepts, he would not personally accept Darwinian evolution as scientific fact. That, as we all know, is the greatest sin one can commit today. Like many other scientists, professors, administrators, students, etc. before him, Abraham was expelled with the rest. Abraham is now suing for $500,000 of compensation. Whether or not his suit goes through is yet to be seen. Abraham's story was first published by the Boston Globe and can be found here. 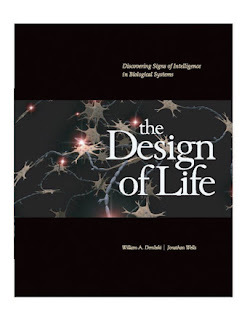 THE DESIGN OF LIFE RELEASED! "When future intellectual historians list the books that toppled Darwin's theory, The Design of Life will be at the top." "I disagree strongly with the position taken by William Dembski. But I do think that he argues strongly and that those of us who do not accept his conclusions should read his book and form our own opinions and counter-arguments. He should not be ignored." "[Jonathan] Wells is one of the leading lights of the emerging movement which is attempting scientifically to study evidence of intelligent design in the physical and biological realms."